Linette Tobin is committed to the music and lifestyle of supporting multifaced cultures and their diversity. By day she is a successful immigration lawyer based in the Washington DC area. She is as passionate about her life path as she is her music. Her approach to playing is based on applying traditional or folkloric themes to other more contemporary styles, including jazz and fusion. 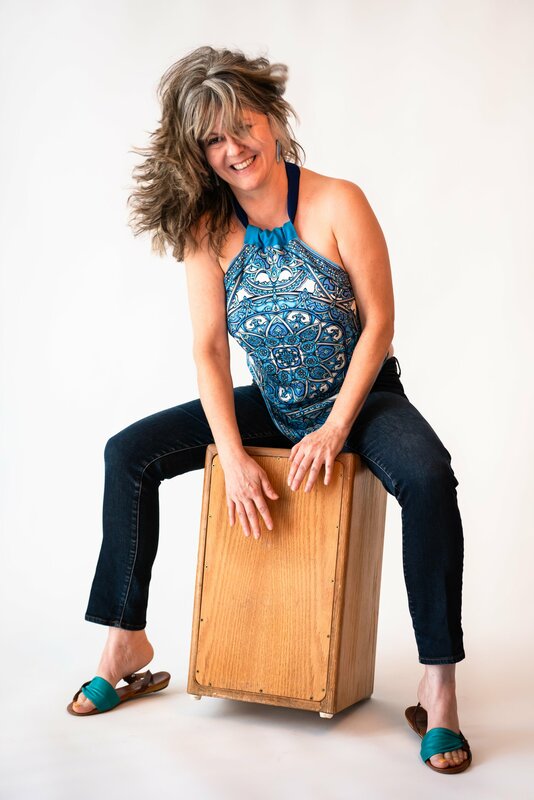 What is most striking is her ability to create melodism on the skins of her congas. Her mastery of her instrument is deeply felt on each tune from her brand-new album The New Shape of the World, alluding to the empowerment of individuals through music. The album features songs in at least four languages, the group’s name Pangaea is derived from the Greek pangaia, meaning “all the Earth.” Lending itself to the inclusivity that Tobin so desires in every aspect of her being. Tobin sings on the groups album and has a very pleasing style, but when she invokes her percussion skills it’s hard not to recognize the virtuosity in her playing. Each player of the ensemble contributes to the overall collective sound. 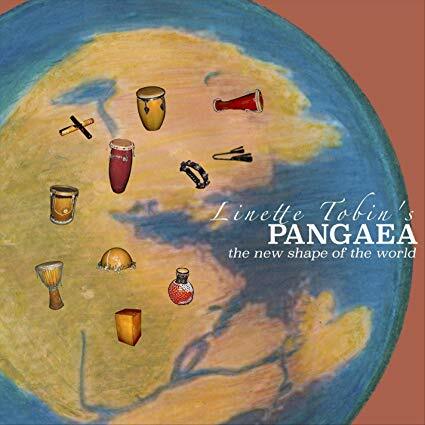 Their debut release features seven original tunes that enliven the senses and celebrate the kaleidoscope of Linette Tobin’s Pangaea. Each track has something unique to offer sonically and from a performance standpoint, but “Make Way For the Ladies,” is 4:10 of pure magic. The tune is an instrumental percussion cut featuring Linette Tobin on congas, Monette Marino & Kristen Arant on djembe and dununs and Laura Costas on auxiliary percussion. This is a smoking cut. Each players dexterity is stunning. You would think a four-minute tune of percussion might start to become sonically repetitive, but right when you feel the music is building tension, the group creates a rhythmic intricacy to refocus your attention, keeping you riveted for the entire song. Each tune on The New Shape of the World offers influences from the U.S., Latin America, the Caribbean, and Africa. 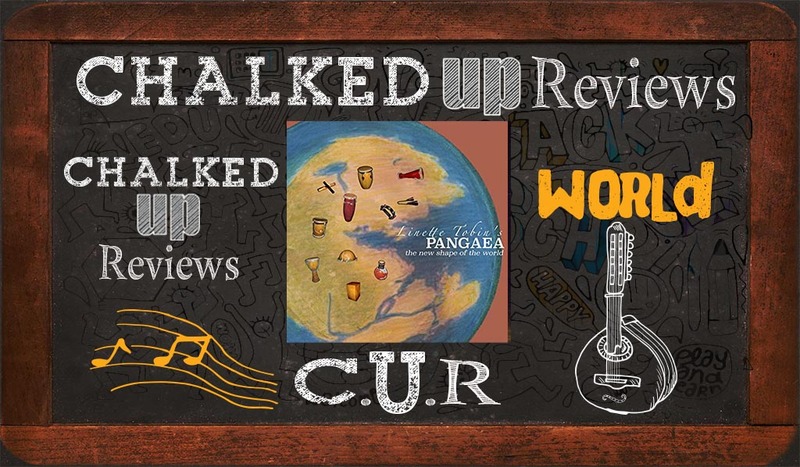 Pangaea’s sound is at times World (Cuban, African, Brazilian, Jazz) and at times Americana (a merge of folk, R&B, gospel, jazz, and bluegrass roots). The ensemble plays each tune with beautiful joy and enlighten construct, making for a spellbinding listen. Copyright © 2019 Chalked Up Reviews, All Rights Reserved.